My bonus highlights during the Blog Paws Conference was walking through the exhibit hall. 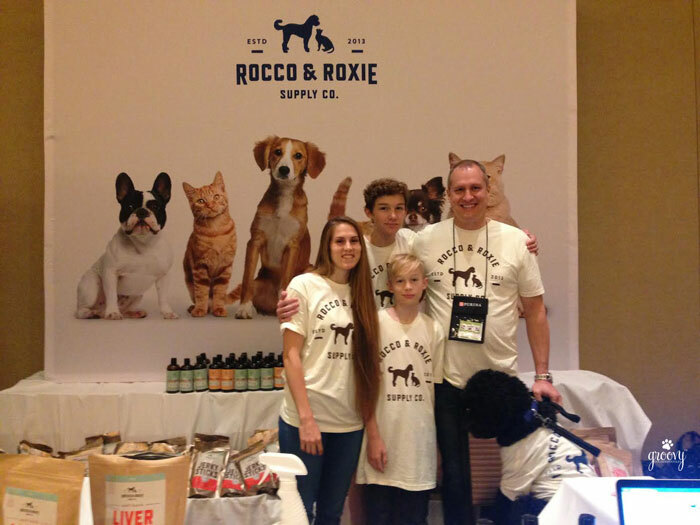 Rocco & Roxie Supply Co. was one vendor we were delighted to meet. 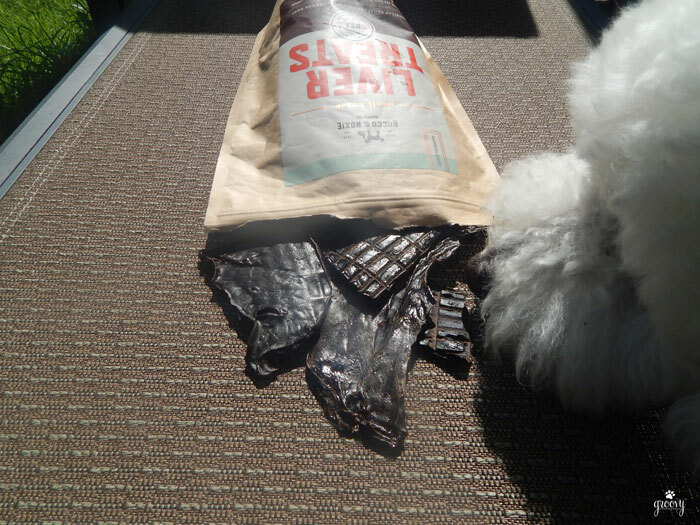 …we chose to talk about their “Gourmet Liver Treats” today! Made in the USA in small batches, with only one ingredient – high quality beef liver! Just lot’s of meaty goodness. The natural smokey flavor comes from being slow- smoked for 15 hours. This is what gives them their crunchy texture. Since you can’t smell them from your screen, I thought the least we could do was let you listen to the crunch. I like that they’re easy to break into smaller pieces for distribution, yet sturdy enough to survive in the bottom of my Doodle bag without crumbling to dust as so many treats do. So far with my two – a little sliver here and there seems to be going a long way with the 16 oz bag. 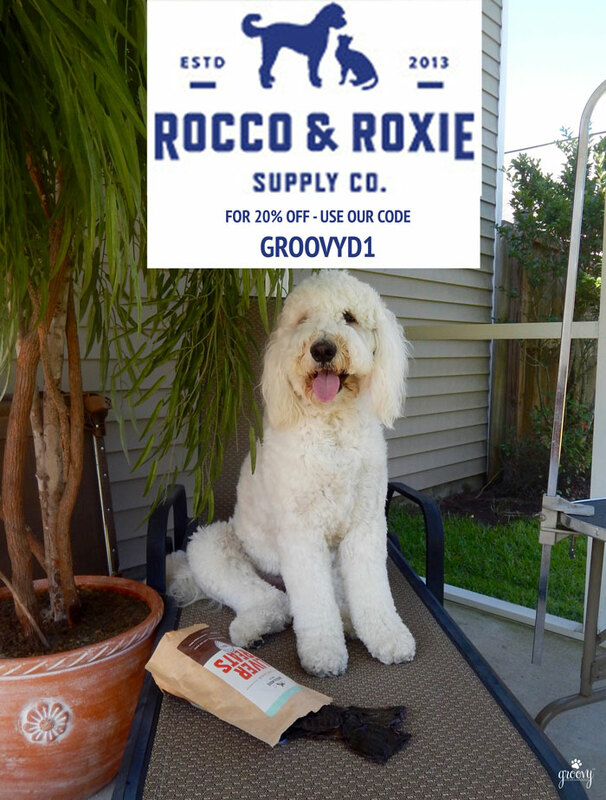 Collar us Flattered when Rocco’s humans offered a give-away for two PLUS a discount if you’re interested in trying these doodlelicious snacks! 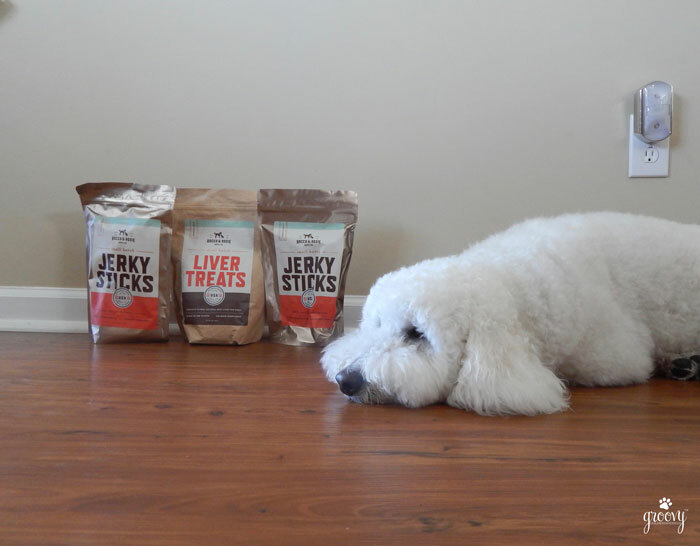 • I was given a bag of Gourmet Liver Treats in exchange for an honest product review. All opinions are my own, swayed only by Jaxson & Harley’s tail wagging approval. 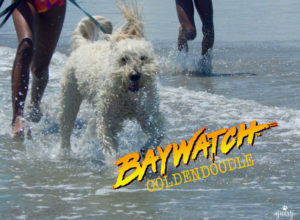 • Cathy C. Bennett is a participant in the Amazon Services LLC Associates Program, an affiliate advertising program designed to provide a means for sites to earn advertising fees by advertising and linking to Amazon.com. They are rather new, but they have wonderful products. I think my outside dog would like those treats. then I think you should enter the give-away Shadow. Surprise him. We’ve had their liver treats before. They are good, but our favorite is the beef jerky. Mom cuts it into small pieces and we use it for training rewards. Yum! Oooo, Rita is definitely intrigued by that! Lol over the pic of him yelling. Too cute! HA! He looked like the town cryer didn’t he? I don’t know who he was yelling to – we were all there together. #sillydoodle. Those treats look great! Like the way they don’t crumble into dust. Oh Happy Hazel – you really do want to try these. They are a huge hit here in Doodleville. 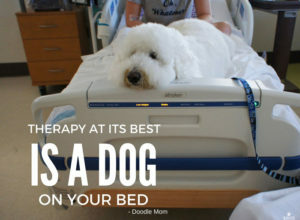 Those definitely sound like something my dogs would love! I hope I win! My guys are loving them too! I have a hard time listening to all the crunching, but boy are they a hit! They love them, and I feel so good about the ingredients. These are my new forever treats for the Boys! Your video is adorable, with that endorsement who can resist? Thanks so much – that’s what we were shooting for…. we wanted everyone to know how much we love these treats. 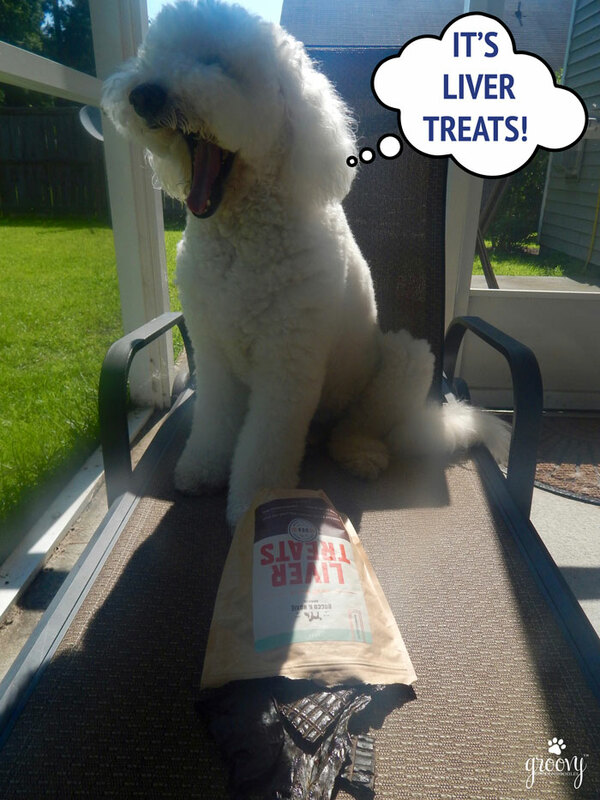 Those treats look huge! What a great review, hope I win to try them out as they sound and look great. They are on the large size JoAnn, but I like that. Glad you liked the review. 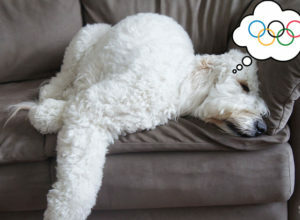 Paws crossed for you with the give-away. 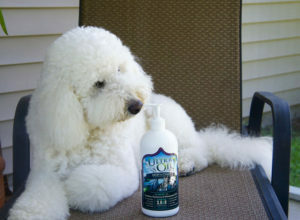 Great to see dog products coming from small companies. Your review is helpful. They look a little large for my 7 pounder but I like the fact that they are easy to break up (one of my biggest complaints with dog treats). Melody, I share bothy our sentiment about small companies and your complaint about dog treats. Even though my boys average between 60-70 lbs, I don’t like for them to eat large quantities of treats during the day. 1. Treats are just too expensive and I want them to last as long as possible. 2. They eat a wet dog food, and if they eat too many treats during the day and don’t consume all of their dinner I cannot save it, it goes in the trash #gasp So I too want the ability to break treats into small pieces and these liver treats work so well when I do that. I can break them, but it still makes eating them fun for Jaxson and Harley savors his pieces. That 16 oz bag should last your 7 lb-der a good little while. Best of luck in the give-away. I enjoyed meeting the family of Rocco & Roxie. The boys LOVE their treats too. The crunching on your video is hilarious! That’s your boy Jaxson M.K. Can’t wait for you to meet him at BP 2017. 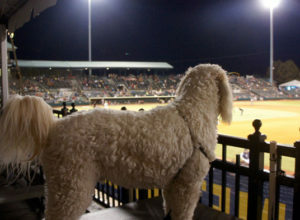 He’s your kindred spirit – in canine fur. Hugs to Bentley and Pierre! I love the video and that delicious crunching! And I really like the ingredients as well as the “Smokey” flavor. 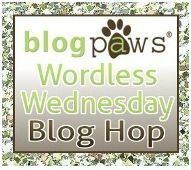 Clearly our pack should try these treats! Thanks for bringing this to our attention! Christine – you are so welcome. I am so pleased with these treats. That’s why I wanted to talk about them one at a time. Harley loves the smokey liver flavor also, but Jaxson eats them like the man on the old “Lay’s Potato Chip” commercial – but in his case, he only gets to eat one! 🙂 Best of luck in the give-away, but don’t stop there – take advantage of the 20% discount too! These sound really good – literally! The crew loves crunchy treats! If your crew loves crunchy – then this is the treat for them! My Boys are loving it everyday!